Search Results for "miami skyline"
A tug boat travels along the Main Channel near Dodge Island with the Miami skyline in the distance. MIAMI Skyline at night. Shortly after Sunset. Boats in foreground. Vivid city life. Miami, Florida, USA. The Port of Miami with Miami skyline in the background. Aerial view of Star Island, Miami with downtown Miami skyline in the background. 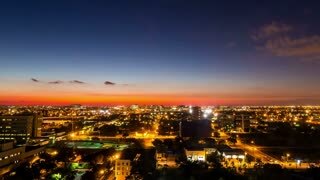 Time Lapse of the Miami Skyline during the golden hour. Miami's skyline and view of Biscayne Bay, during the day with regular work week traffic.